A delicious snack for every occasion! It’s a warm summer day, sweat is dripping from your brow and you are craving a refreshing, healthy snack. The thought pops into your head “Guacamole.” However, you don’t know how to make it, and when you try, it ends up a green mush of vegetables. After watching many “How-to” videos, you finally give up on your Mexican dip-making skills. Until you come across this gem of step by step directions on how to make the world’s best guacamole in a flash. Say “adios” to your dull, flavorless salsa variation… and “hola” to the best summer snack! To start it all off, you should make sure to have avocados, lemon juice, tomatoes, cilantro, salt, onions, jalapeños (if you like a little bit of a kick), garlic powder, and a bit of lime juice. These ingredients will coagulate to form a mixture of ripe vegetables and seasonings that will soothe your famished stomach, and leave you craving another fix. Begin by peeling the avocados, and putting them in a bowl. Take the back of a spoon and mash the avocados until you get the desired texture: this may range from hard and lumpy, to smooth and silky. Set this bowl aside, and with a large knife, dice tomatoes into small chunks and place them in the bowl. Once you have completed this step, take a moment to stir the tomato and avocado mixture; making sure it isn’t too soupy. If you find that your guacamole is too soggy, add more avocado slices to the bowl. Next, mince the onions and cilantro into small enough pieces to where you will not have to chew them. Once they are chopped finely enough, dump them into the bowl and continue to mix everything together. Lastly, sprinkle garlic powder and salt into the guacamole bowl. At this point, you should stir, then taste the mixture. From here on out, it is mostly based off of personal preference. If you feel like it still needs a bit of additional flavor, now would be the time to add a splash of lemon or lime juice. This will give your creation a tangy and flavorful taste, however, if you are someone who likes a little kick to their food, chop the jalapeño peppers and sprinkle them in as well. 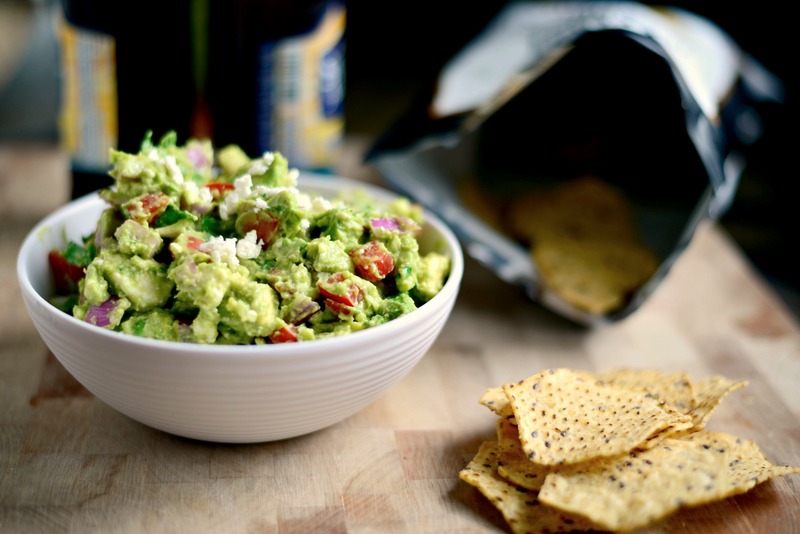 The final (and most exciting) step in making your very own guacamole.. is eating it! Get a bag of Tostitos and dig into your delicious, homemade dip! Chances are, you are salivating while you read this right now and you can’t wait to get home and make yourself some Guac. Now that you see just how easy it is to make this tasty treat, go ahead and give it a shot! The only regret you will have is not learning how to make it sooner.